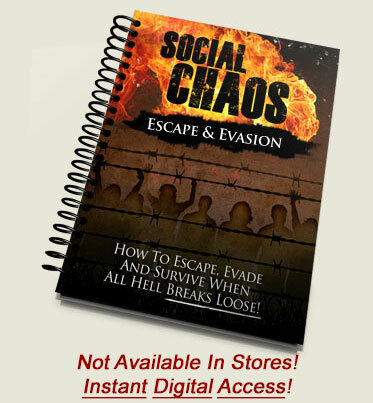 Social Chaos Survival Guide - How To Escape, Evade And Survive When All Hell Breaks Loose! like zombies in a human butcher shop…with NO FEAR of being held accountable for their actions! You Need Now To Escape, Evade, And Survive Social Chaos, Martial Law, And Crowds Of Hunger-Fueled Anarchists! Social unrest is happening EVERY SINGLE DAY, oftentimes right under our noses yet most people are too mentally and physically detached from the horrors we watch unfold on the news. The Rodney King Riots…Hurricane Katrina…Riots in Egypt, Tunisia and Iran… Hell, even pissed off soccer fans can be a force to be reckoned with! Man is at his WORST! If you're not doing everything you can to prepare for an eruption of spontaneous social chaos – you're putting your own life…and the lives of those you love in serious jeopardy! But it's the other people we have to worry about: The "wolf pack mentality" of groups in large numbers with an unquenchable bloodlust for control. Help Will NOT Arrive In A Riot! When a crowd turns violent, no amount of tear gas or rubber bullets can stop the firestorm! Law enforcement won't be there to save you...and in fact, they may think YOU are part of the problem! The police are spread way too thin to protect you. Hell, some joined the crowds of looters after Hurricane Katrina and the Rodney King Riots in Los Angeles. In Egypt, some ripped their badges right off their chests and banded with the anarchists. The government has proven that it doesn't have the resources or the leadership to come to your aid. They're too busy looking for photo ops to give some kind of semblance that "we're in control here" – when the people know the truth. The military isn't trained well for domestic social chaos. Our brave soldiers fighting in foreign lands today must be ever vigiare for uprisings that can turn violent. They're trained to kill if necessary but for domestic unrest it's their training is a recipe for disaster as they may get trigger-happy when faced with a mob. And don't be surprised if you find them knocking at your door with orders for you to give up your guns during times of martial law! After Katrina, they came door-to-door, illegally confiscating people's weapons (most of which have never been returned). You're forced out of your home by starved zombie neighbors willing to kill you and your family for a potato chip. You're faced head on with a ruthless and rabid crowd that doesn't care who it hurts – or kills. A Fanatical Mob of Blood-Thirsty Looters! Keep in mind, I'm not talking about AFTER the riots have been quelled and you have to survive long periods of outright uncertainty and danger. This isn't about long-term sustainability. Nor is it about subsisting on wildflowers and tree bark when you've been completely forced out of your home. These are NOT the same skills you can call upon when you have to escape a violent crowd, evade looters chasing after you or even fighting your way out of a mob using your bare hands or whatever weapons you can find. Survivalists, or "preppers" are well-versed in living in their home or in their woods for extended periods of time. That's great. But social unrest doesn't always erupt when you're at home. You could be at work. At the store. Your family could be spread out all over the place, all frantically trying to reach each other. You may even have to leave your home at some point to scavenge or restock your supply kit. 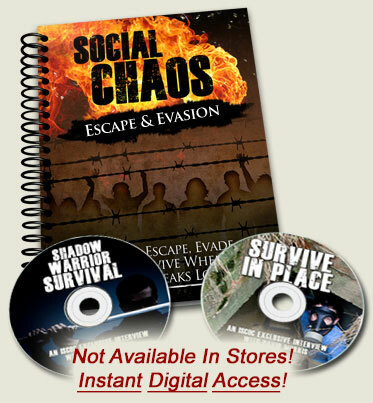 The Social Chaos Escape & Evasion Manual is about more than "packing an emergency kit". It's about how survive in a brutal, no-holds-barred environment when everyday courtesies and routines go right out the window – and people are out for whatever they can get. And when it boils right down to it, any of these groups may not hesitate to take your life and everything you've prepared for – consequences be damned. The Social Chaos Escape & Evasion Manual gives you the fast-action skills you need to fend off attackers, fight for your safety (and those of your loved ones) and live another day. In times of upheaval, the cold, hard truth of it is – you may have to fight for your life. And knowing what to do to save your spouse, children, or your aging parents may make all the difference. And, because families are often the targets of looters and thugs – we've prepared a special section in the Social Chaos Escape & Evasion manual that details everything you need to know to make sure yours is prepared! An "underground art" an 80-year old man used to fend off a blood-thirsty mob of rioters who were trying to kill him. When the police showed up, the only ones dead were the dozens laid at the old man's feet as he stood there ready for combat. The "compact wrecking machine" you can get at the local hardware store that will fit inside a pocket and yet grant you the ability to breach obstacles... climb brick walls... build a fortress... and is amazingly effective as a weapon as well! How to create and follow a Mobile Survival Plan – Even if you have several months worth of food, gear and fuel stashed in a safe place – that safe place may no longer be a viable option when social upheaval is knocking on your door. Learn how to create a survival plan that moves with you – wherever you go. Discover what to take with you, and what to leave behind – you'll definitely be surprised at this list. Being pursued by a car full of thugs is a dangerous situation! Take them out of the chase by reaching under your seat to pull out a 5 million candle power spotlight you can pick up from any boating store. Flash it through your back window to instantly blind your pursuers. They'll be forced to stop their car or risk crashing! In the "Social Chaos Survival Guide" you'll also discover 2 "ultra sneaky" common objects (on page 142) that you can deply like a modern day James Bond (while you're driving!) 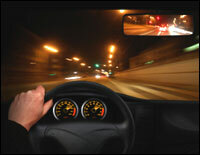 to cause your pursuers' car to crash or break down! When communication is the worst thing you can do – Everything you've come to rely on to help you stay in touch – such as your cell phone – may not work. The internet may be blocked, as we witnessed during the riots in Egypt. Learn what to carry (and why!) to help you stay in touch with your family in the event you are far apart from each other. The single most survival item you can carry with you – Guess what, it's not a knife, a pack of matches or anything else you'd normally think of. But you'd be amazed at just how valuable and versatile it can be under any circumstance. What goes into your emergency kit – We'll go step by step over some of the most critical items every survival bag must have – and why. This goes beyond the standard "matches, knife, blanket" list that most people think of. In fact, after you read this, you'll be SHOCKED at what your emergency kit doesn't include – and you'll be scrambling to get it before it's too late! How to create a family "rally point" in different situations – such as if a spouse or parent is at work and the other is at home, or if you get separated from your children. How to lithely move through a crowd without disturbing or agitating an already stressful or psychotic atmosphere. Learn how to avoid being overcome or crushed by a hysteric throng of people, how to spy openings and maneuver your way through to safety. How to pick a lock with improvised tools you can pick up off the ground! How to survive in a group – If you've banded together with other survivors, there's a whole new set of tactics and strategies you'll want to keep in mind for communicating, traveling and working effectively. How to Hotwire a Car – Yes, in the event of a social catastrophe, even knowing this illegal skill could save your life. Master this critical skill step-by-step on how to hijack a car to get the hell out – NOW. How To Defeat Multiple Attackers! Make no mistake, during civil unrest, opportunists will band together to incite violence! If you're attacked, chances are... you WILL have to fend off multiple assailants! Turn the hunters into the hunted with 3 ways we'll show you for ambushing your pursuers in a rural or urban setting (including a nasty Vietnam tactic on page 133) to thin the herd or completely defeat your "enemy"! ...We Invented Some Of Our Own Sneaky Tricks! For you to be able to truly "think on your feet" during riots and social chaos, you need the wisdom of some of the most authoritative survival experts. That's why we've interviewed professionals from every walk of life and poured their knowledge and strategy into one complete, 160+ page, fully-illustrated guide that you can start benefitting from IMMEDIATELY. You simply can't put a price on training like this – especially in what could become the defining moment in your life where you took action and made it to safety, when others stayed behind and perished. In fact, due to the sheer amount of pages this program came out to be, we were originally going to have to sell it at $97 to cover the cost of production and the bonuses (more on these amazing bonuses in just a bit). But I'm so confident that this is going to be one of our best sellers that I'm taking the chance that we'll make up for it in heavy volume from concerned and prepared survivalists like you. 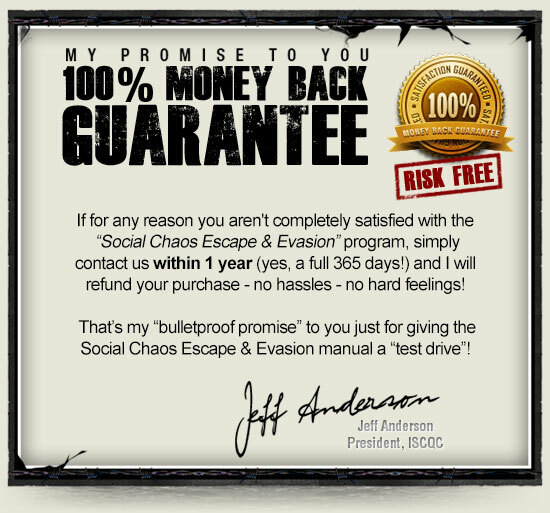 Therefore, I'm ready to give you access the entire "Social Chaos Escape & Evasion" manual for about the cost of a few of boxes of ammo. 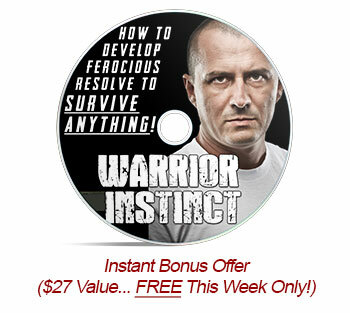 Just $27 and you'll be armed with the an entire arsenal of advanced survival strategies for breaking out of a mob...defeating trackers hot on your tail... and evading the "enemy", whether foreign invaders or hungry hordes of unprepared citizens during a natural disaster! That's pocket change compared to the amount of time, effort and psychological stress you'd save in the event of such a catastrophic emergency. Go ahead and Order Now By Clicking Here or on the button below to pay securely online. Gear and gadgets are great... but your most critical survival tool is your mind-set and your will to survive at all costs in any condition. This exclusive audio program will reveal how to master the "ferocious resolve" tactics you need to to see your loved ones through to safety in any crisis. as part of a special promotion! Don't think the ancient art of stealth and shadow applies in the 21st century? Surprise – it does. And more than you might think. How the "Everyday Survival Skills" you might use could KILL you – Depending on the Situation. 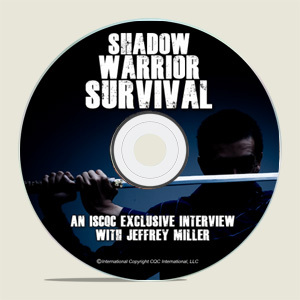 You're Instantly Thrown Into a Survival Situation where Your Life is In Danger. What do you do? This step-by-step guide puts the pedal to the metal when it comes to surveying your situation, taking appropriate action, and then vanishing without a trace so as not to attract MORE trouble. How to navigate and keep your bearings as you travel – When foraging for food or scouting for water, do you know how to make it back to your shelter? Can you do so while avoiding looters, soldiers and other threats? 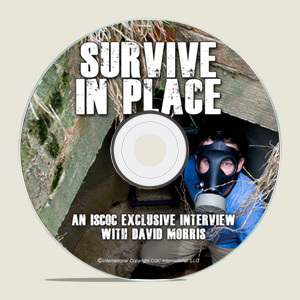 Urban Survival Secrets To "Survive In Place"
This is a call I did with the predominant authority on surviving at home or on the run. It's a no-holds-barred, fully open phone call by and between survival experts and everyday people. The most versatile weapon you can own for survival purposes. Learn what weapons we recommend to help you hunt food, take down attackers and more. What your rights are when the government declares Martial Law. If you stock up on food and weapons, and suddenly the government wants it all – what do you do? You'll be surprised at this answer (and better prepared!) than your neighbors who "gave up everything" to be a model citizen. What to do if people don't believe in the "prepper" mentality – This strategy sounds like the WORST thing you can do, but it works, and keeps you from becoming a target. If You Order Right Now! Today, you got up and went through an ordinary day. Perhaps you bought groceries, picked up your kids from sports or music practice, ate a good meal and chatted with friends. Don't take routine for granted. Now is the time to be prepared. Tomorrow could be too late. Even if you never have to use this information (and I pray you don't! ), just having it and knowing it could make the difference between becoming a survivor – or becoming a statistic.